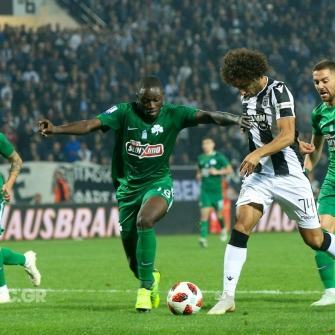 Everyone was curious to see the reaction of Răzvan Lucescu’s troops after their unexpected off-night and loss to Vidi last Thursday. 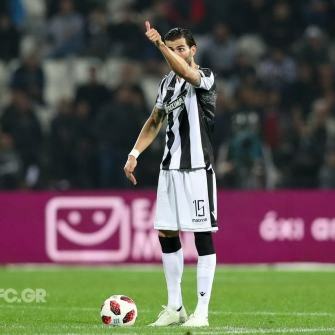 Indeed the players were determined to give their answers and turned Monday’s clash against Panathinaikos to one-way traffic. 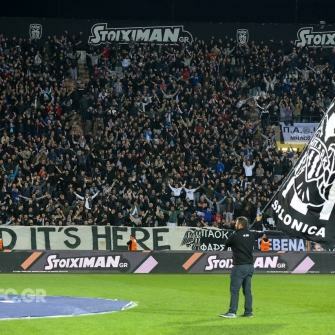 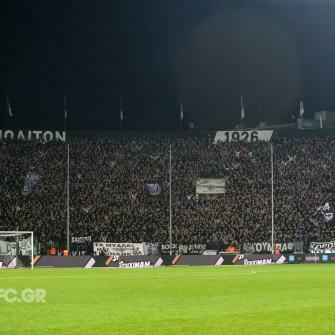 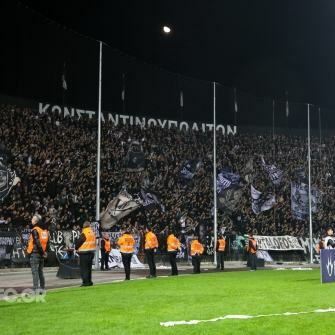 PAOK brought out on the pitch all the elements that make them stand out: energy, passion and high pace. 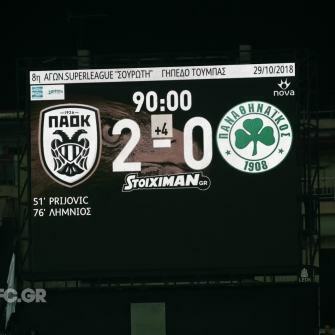 They landed yet another three-pointer and remain clear at the top of the Super League Souroti standings with a perfect record of 8 victories in as many encounters. 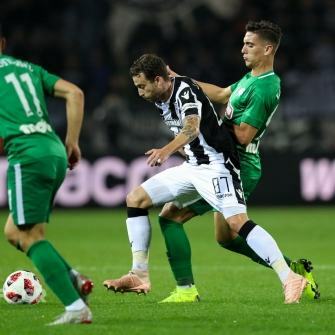 Panathinaikos came to Thessaloniki for their first high-profile match of the season as undefeated, but were soon pushed into a passive role, not being able to follow PAOK’s pace. 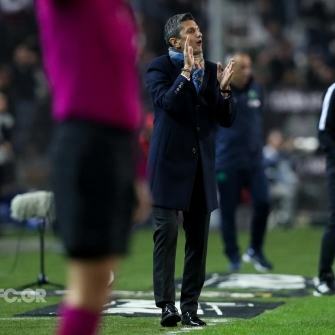 Lucescu’s players created many chances in Dioudis’s area in the first half. 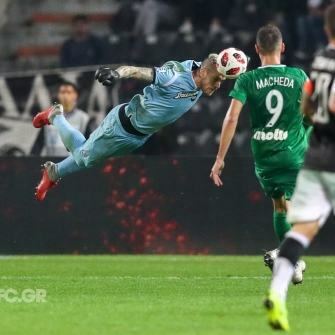 The goalkeeper of the Greens was in excellent day and kept his goal intact before the interval. 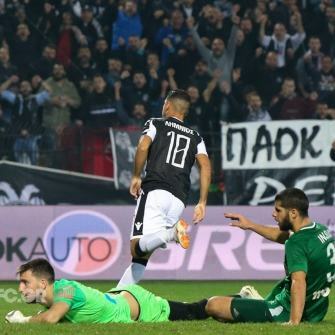 Two PAOK goals were disallowed on the offside rule, while Dioudis produced one of the season’s most spectacular saves, palming away Aleksandar Prijović’s header. 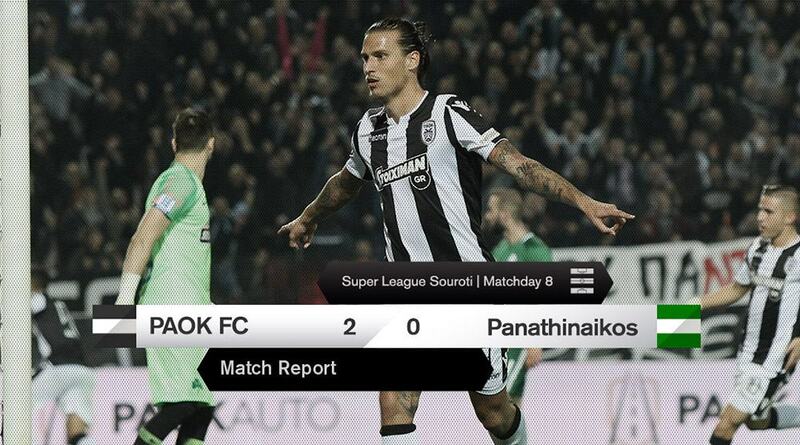 In the second half, PAOK hit the ground with even more force. 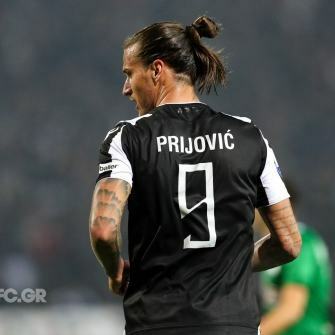 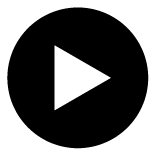 They came close to breaking the deadlock in the 49th minute with Diego Biseswar and Prijović. 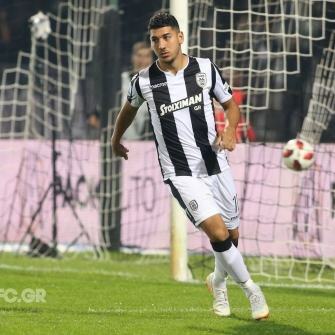 The Serbian striker would finally net the opener two minutes later. 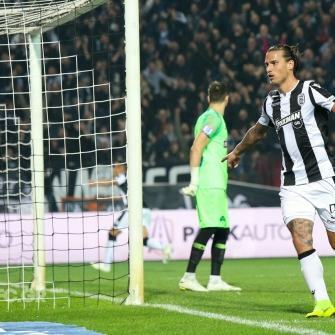 Léo Matos picked Léo Jabá with a fine pass, the latter crossed into the area and Prijović scored his 11th goal of the season from close up. 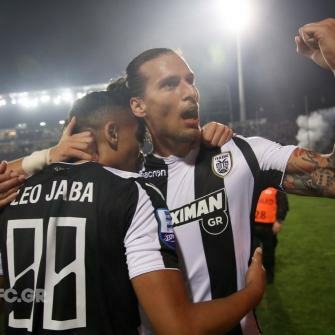 The visitors wasted their best opportunity in the 65th minute, Alexandros Paschalakis denying Bouzoukis. 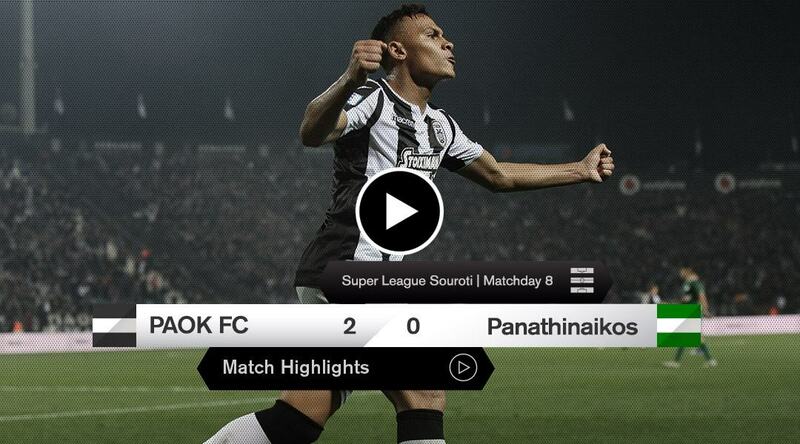 In the 76th minute, PAOK sealed their victory with Dimitris Limnios . 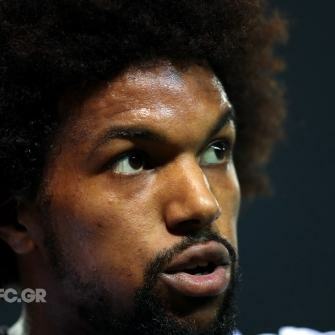 Seconds after coming off the bench, the young winger collected Jabá’s assist to make it 2-0. 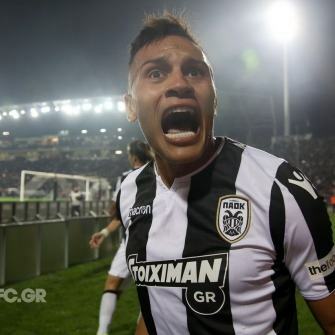 The last minutes were only a formality. 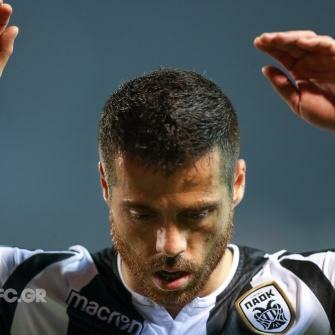 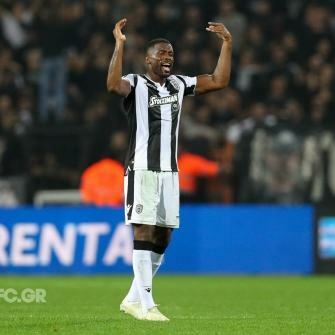 PAOK now focus on the Peristeri match against Atromitos, the clash between the only two undefeated teams of the league. 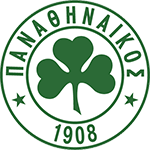 PΑΟΚ: Paschalakis , Matos , Varela , Crespo , Vieirinha , Cañas , Wernbloom , Jabá (82’ Warda ), Pelkas (53’ El Kaddouri ), Biseswar (76’ Limnios ), Prijović . 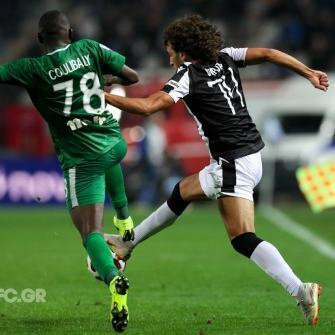 Panathinaikos: Dioudis, Coulibaly, Kolovetsios, Mavromatis, Insúa, Donis (77’ Mounier), Kourbelis, Chatzigiovanis (64’ Chatzitheodoridis), Bouzoukis, Kabetsis (77’ Kaçe), Macheda.